Below is a limited sample of Dan's portfolio. 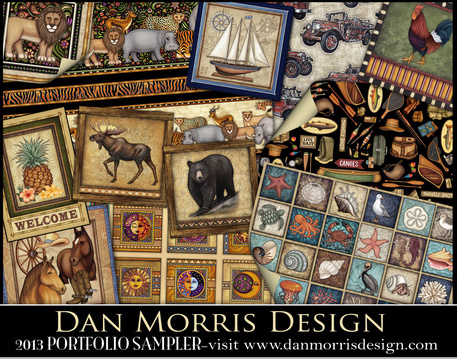 If you are interested in seeing his full portfolio for licensing opportunities, please contact us directly at Barb@danmorrisdesign.com or Dan@danmorrisdesign.com. Click above to view a sample of Dan's portfolio.